By Using these Natural Gout Remedies you can learn to structure your diet to avoid those foods that will trigger a gout attack. There is no cure for gout!! 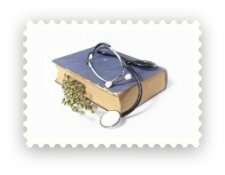 And this has probably got you wondering ..about what causes gout and what you can do to help? So let's determine what foods we should be having healthy helpings of, and the "nasties" we should be avoiding like the plague. You can also run the risk of developing kidney stones and if you think gout is bad, wait till you get kidney stones!! Gout is thought to be hereditary, and there is no cure for it. Uric acid seems to prefer the big toe, but other joints can be vulnerable as well, including the fingers. 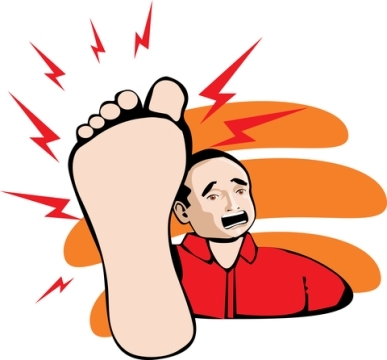 Acute pain is normally the first sign of an incoming attack of gout. Bit late for natural gout remedies, but try dosing with only raw fruits and vegetables - especially those rich in Vitamin C.
Because uric acid is a by-product of certain foods, gout is a close relative of what we eat. "Be temperate in eating, wine, girls and sloth. Or the gout will seize you and plague you both". 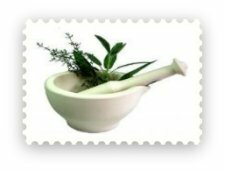 What can you Take Naturally for Gout? Water is the best choice of liquid because it passes through the body quickly without any unnecessary additives such as the sugar in sodas and fruit juices. Water, is an absolute must for natural gout remedies. Drink at least 10 to 12 glasses of water per day. Always keep in mind that you drink less water than what you think you do. So make a note of each glass of water that you drink to ensure you get your full 10 - 12 glasses a day. What Foods Help Relieve Gout? Always ensure that you have enough potassium in your diet to avoid a debilitating gout attack. Potassium aids the excretion of uric acid by maintaining the pH levels in the body fluids and keeping the urine alkaline. Help yourself to as many cherries as you want. 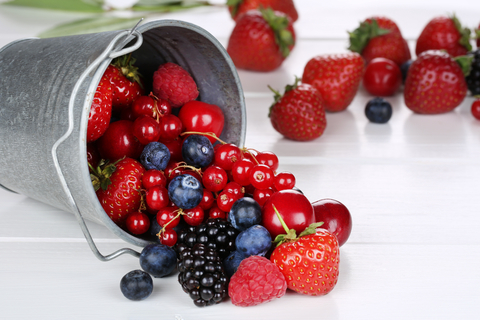 Blueberries, cherries and strawberries neutralize uric acid and have antioxidant properties, so eat lots of them. Potatoes are high in potassium therefore good for helping to keep the urine alkaline. Also include grains, seeds and nuts in your diet. Supplements should always be considered if you have a very busy lifestyle. Purines are natural substances found in most foods and found in all of the body's cells. It is normal and healthy for uric acid to be formed in the body from the breakdown of purines, but in certain instances the uric acid levels can become too high. 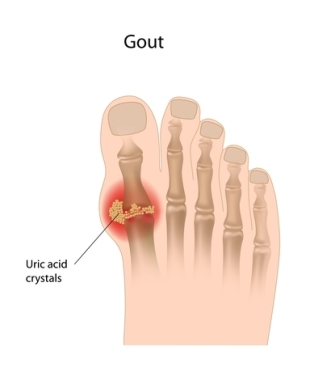 When this happens a bout of gout could occur, so you need to avoid the foods that are high in purines and help prevent the gradual build-up of uric acid salts in the joints. Sorry chaps, but beer and alcohol is out, or at the very least, should be drunk in moderation. Overindulgence in alcohol and especially beer can trigger an attack of gout. Beer contains yeast and yeast is believed to increase the levels of uric acid in the blood. 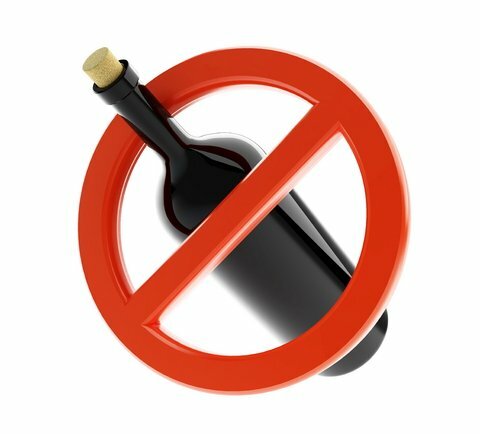 Excessive alcohol also impairs the kidneys' ability to eliminate uric acid. No fried foods cooked with oil that has been subjected to heat, are allowed. When heated, oils become rancid. Rancid fats quickly destroy vitamin E, resulting in the release of increased amounts of uric acid. Been overweight is commonly associated with gout and can help speed up the onset of symptoms. Avoid very restricted weight-loss diets. Abruptly cutting back on foods or fasting for longer than three days may result in increased uric acid levels.